SAN DIEGO, Feb. 15, 2010 -- Northrop Grumman Corporation (NYSE:NOC) has successfully demonstrated that its MQ-8B Vertical Unmanned Aerial System (VUAS) can resupply U.S. or coalition troops deployed on a combat mission. 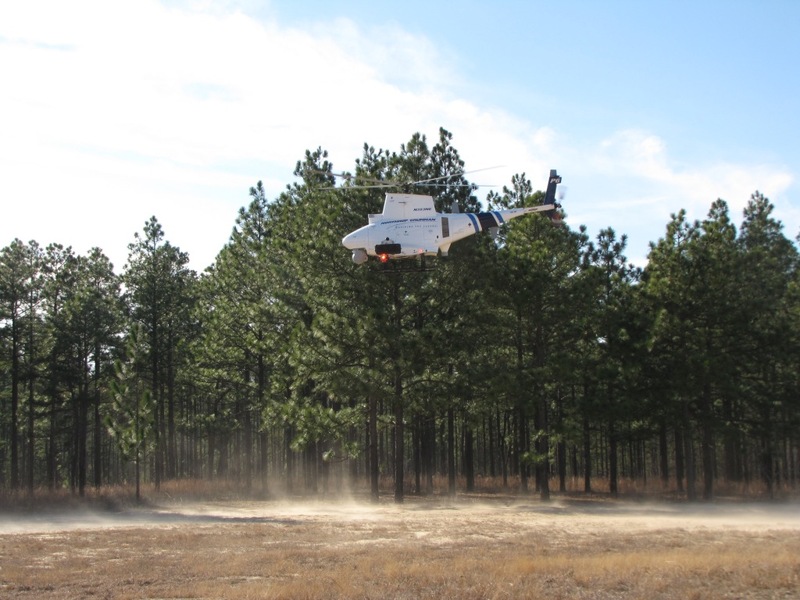 The company conducted the autonomous proof-of-principle resupply capability during the current Army Expeditionary Warrior Experiment (AEWE) at Fort Benning, Ga. AEWE gives soldiers a first-hand look at emerging technologies and concepts. "Fire Scout's ability to deliver supplies autonomously demonstrates its readiness to support troops in the field," said Al Nikolaus, program director of land-based Fire Scout at Northrop Grumman's Aerospace Systems sector. "It also highlights one of the many advantages of a vertical unmanned aerial system. We have matured this capability and we're eager to support our warfighters in theater with the resupply of small-unit logistics that is so vitally needed." For the AEWE mission, Fire Scout had two ruggedized containers attached to external pylons. Fire Scout flew autonomously from take-off to the cargo drop to landing. The VUAS also used its electro-optical/infrared optical payload during the mission to practice reconnaissance, surveillance and target acquisition (RSTA) techniques. The ability to conduct simultaneous RSTA and logistics missions is another unique Fire Scout capability. Fire Scout is equipped with a payload interface unit, which allows it to release the cargo pod without the presence of a soldier. Fire Scout observed the landing area to confirm the area was free of obstacles and personnel prior to landing. Upon landing, Fire Scout's skid sensors detected contact with the ground. Upon touchdown, the autonomous mission was preplanned for release of the cargo pod and seconds later the aircraft took off again to continue its RSTA mission. "Fire Scout's ability to operate at low ground speeds and operate in remote, unprepared landing zones allows it to move with warfighters in the field and easily acquire and track targets in complex and urban terrain," said Nikolaus. "It's fully autonomous, and swiftly performs the dull, dirty and dangerous missions without putting soldiers in harm's way."